Nashville is rapidly becoming a cosmopolitan city. How about a little California inspired fashion? Last month I was invited by my stylist friend Jen Cason to the local unveiling of California-based designer Marisa Kenson's clothing line. 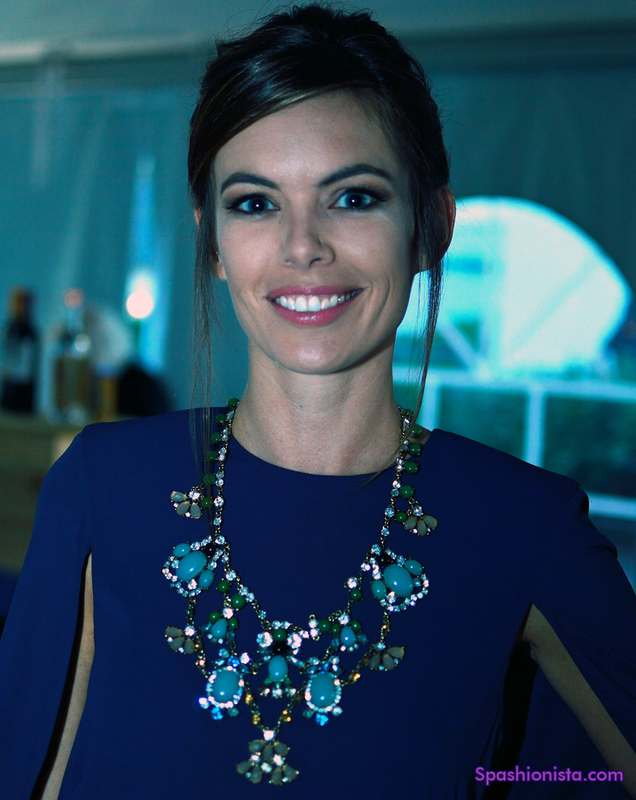 The event included food and drink, live music, and models wearing selected pieces from the collection. Kenson's clients include Katy Perry, Nicole Scherzinger, Aubrey O’Day andCheryl Burke. She spent the first 25 years of her career designing for major retailers before redirecting her talents towards developing her own brand. The designer was on hand at the event to show off her pieces, which include clever figure-flattering features like the "invisible belt", and answer questions. Cason, who is wearing Kenson's animal print maxi and is Nashville's MKCollab associate, took measurements for orders and made sure we were enjoying ourselves. Kenson is the gorgeous blonde pictured above. Her designs definitely feel West coast and are well-made and well suited for work and play. If you'd like to shop the collection you can connect through Jen Cason's online boutique. I'm wearing a vintage 90's lace dress from Pura Vida Vintage, one of my favorite Daisy Alexandria Designs necklaces and the inimitable Seraphine Design bracelet.